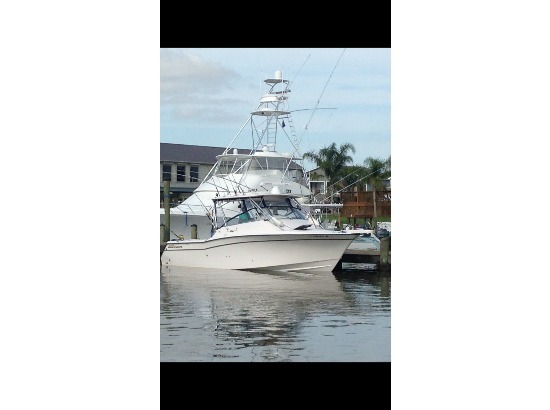 2003 Grady-White 330 Express, One of the most equipped 33' Grady-White boats on market. It has two 300 Mercury Verado super charged engines. All new Electronics- twin Garmin 7212's with blue chart chip, 4' open array HD Garmin radar, Garmin auto pilot with remote control, Fusion 750 Stereo with blue tooth and water sounds speakers and amp will Jam with best of them. Has a Panda 4K Generator purchased in May 2013 now has 400 hours runs good. Fish box freezer plates, and helm cooler Freezer plates no need for ice, Bow thruster, under water lights on stern and has TV linked to Garmin net work to watch GPS from inside and also has Mouse to control GPS functions from inside, TV in the bottom birth, Also has a triple axel trailer that comes with it so if need to haul as pictured. This boat has everything but a water maker on board. One of the nicest Grady-White's you will find for this amount of money and this shape. It has been kept by the previous owner and my self for last 8 years under cover. Does not have bottom paint $135,000. 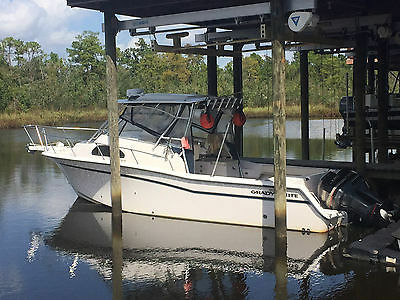 2008 Yamaha 4 Stroke like new on Grady-White Tournament 225G in excellent condition. Motor has only 155 hours on it. New diagnostic report shows motor is flawless. Hydraulic/power steering. 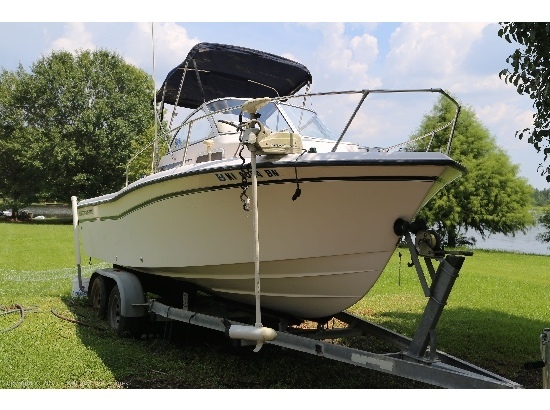 Professionally maintained, new upholstery, Garmin color GPS, new Fusion stereo, built-in dual battery charger, dual depth finders, VHF. Grady Drive with swim platform, extends motor 2 feet behind stern - rides like a 24' boat. Looks like a fairly new boat due to its light use and staying protected from sun. 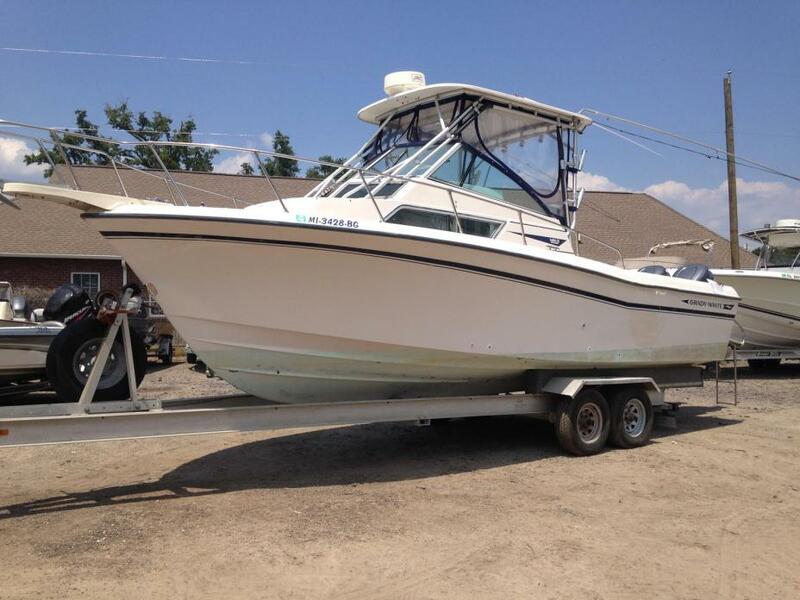 Most versatile boat on the water-great for cruising, family fun, fishing in any waters. Dual console walk-through with bow seating. Boat was always covered. Motor is in like new condition(2008) and hull(1996) is in exc. condition - looks and runs beautifully. Very lightly used and babied! Planned to keep for life but only selling due to illness. Aluminum trailer with new tires and new wiring included.Great boat -- won't last long! Close to New Orleans. $25000. 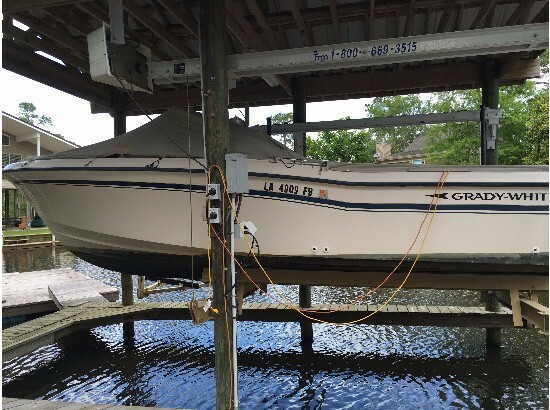 1992 Grady-White Sailfish Sport 25, 1992 Grady White 252GT Sailfish Sport Bridge , 2004 Twin Yamaha LZ200's , Tandem Aluminum Trailer W/Brakes , Hard Top , Outriggers , Stereo , Transom Bracket , Trim Tabs/Hydraulic , Pressure Water System , SS Props , Swim Ladder/Platform , JRC 1500 Radar MK2 , Bridge Enclosure , Furuno GP 1650DR Depth/Fish Finder , Icom VHF Radio , PRICED BELOW BOOK VALUE!! !